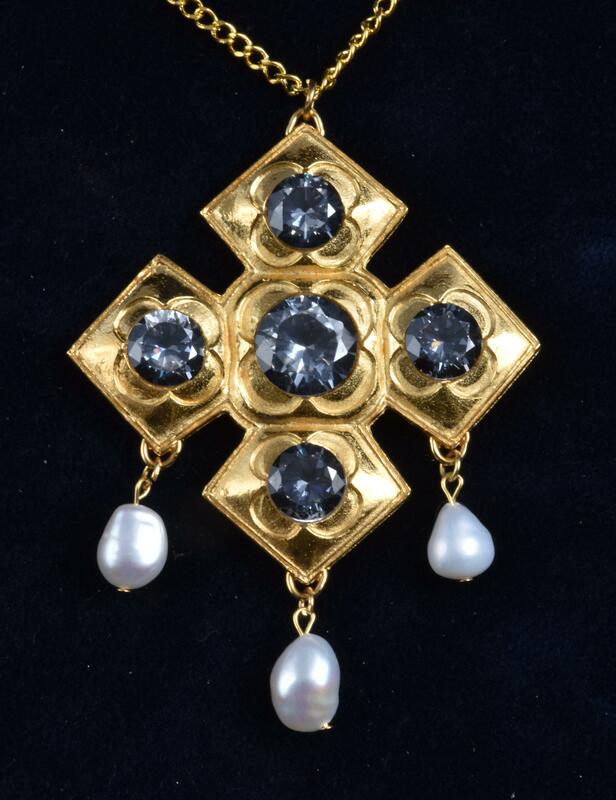 This cross shaped pendant features synthetic diamonds (cubic zirconia) and three large artificial drop pearls. This pendant is a copy of one seen in an early sixteenth century portrait. Measures 5.5 cm across.